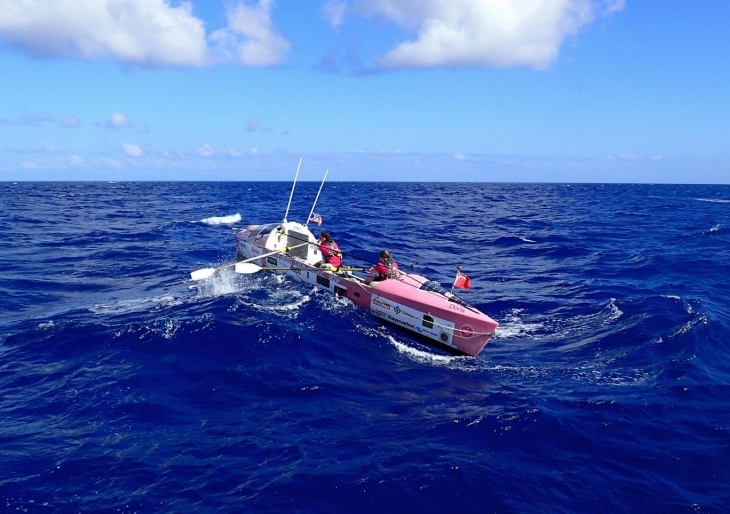 In mid April this year four courageous young women left San Francisco to row across the Pacific Ocean for charity, backed by their patron Kylie Minougue and a dedicated support team. Since then they have made their first land stopover in Hawaii and are now within 400 miles of their next replenishment in Samoa. The track of their boat (called Doris) is shown in the headline image above. To gain some more insight into this amazing challenge and their fundraising for the women of Walking With The Wounded and Breast Cancer Care, here are the initial and follow-up blogs about the Coxless Crew and Doris. Victron Energy and Victron distributors Barden UK Limited are pleased to be sponsoring the Coxless Crew team in this challenging endeavor.